WHEN DISASTER STRIKES, YOU HAVE A CHOICE! Our local crews report on-site quickly, immediately limit the amount of damage and begin restoration. 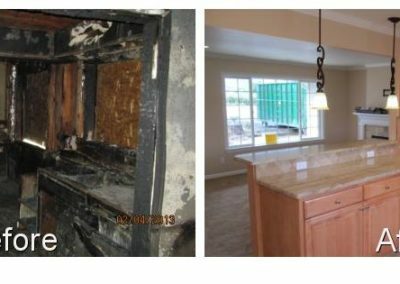 With over 25 years in the construction industry, we effectively manage and conduct all phases of the restoration process from initial stages of clean up through comprehensive reconstruction to final walk-through. Our team recognizes that a property loss can be a disruption to your life. We move quickly and efficiently to make sure we complete your repairs right the first time and within budget. We take immediate action to reduce the property loss then provide industry-best construction services so property owners can regain occupancy fast. Our attention to detail will provide you with peace of mind knowing that your property repairs will be completed in a timely and professional manner. You’ve got our word on it. 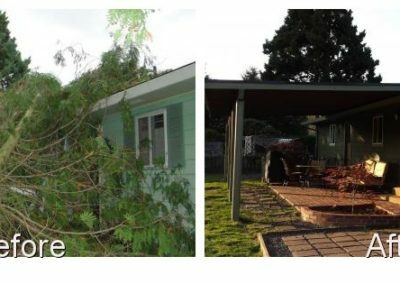 Serving the Pacific Northwest, Cornerstone Disaster Repair is a locally owned and operated company who works with property owners and insurance companies to rebuild properties after disasters strike. Cornerstone’s local crews respond quickly to emergency situations and restore residential and commercial properties damaged by fire, water, wind, vandalism and other natural and man-made disasters. We effectively manage and conduct all phases of the restoration process from initial stages of clean up through comprehensive reconstruction to the final walk-through. When disaster strikes your property and you need help putting it back together, look no further. We are here to assist you with the process of Structural Reconstruction. 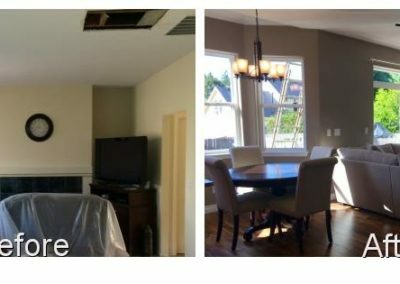 We work with your insurance company to take care of the details that will streamline the restoration process and allow you to return to your home or office quickly. No need for you to coordinate all of the details involved in returning your home or business to its pre-loss condition. Let the team at Cornerstone Disaster Repair manage your project today. The wreck of a fire disrupts and displaced everything in my life and I had to figure out a place to stay until the insurance sorted it out with the help of Cornerstone.The service I’ve received from Cornerstone was very professional and they go the extra mile to make sure to deal with each and every hurdle with meticulous care. If I had a question or trouble understanding the process they guided me through. 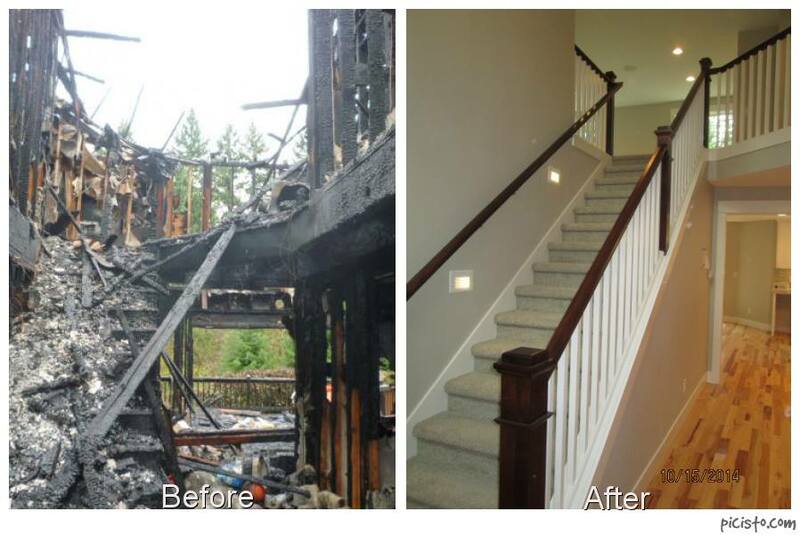 I felt great and confident that my home was being put back together even better and nicer than before the fire. All the trades people that passed through my home were very good at their jobs. No matter what kind of a project you have for these guys, they will get it done and see it through in full. I was left with a warm feeling when my project was completed. Now I just want to stay home all the time because my house is so nice! Definitely I am going to keep recommending Cornerstone to everyone! Thanks guys job well done! We called you in the morning and even with all of the claims from the worst snow fall since 1920, you were there in 2 hours. I can’t tell you what a relief it was just to have you come out to take a look at the damage and encourage us that we would be okay. The service you provided was more than just repairing our home, what was more valuable was you being our personal liaison with our insurance company. You worked so incredibly quickly, efficiently and with the highest levels of quality! I could not be more thankful for the service that Cornerstone Disaster Repair provided. There are so many overwhelming pieces when disaster strikes. Our house fire was very emotional for our family. I personally felt panicked in the midst of the grief. How was I supposed to know what to do first? I was so grateful to feel such peace and calm after my first meeting with Cornerstone in which I realized that they were going to take care of all of it! They streamlined all communication with insurance, contractors, cleaners, movers, etc., in such a wonderful and organized way. The customer service was incredible, but most importantly they showed compassion and understanding throughout. AND our home was so beautifully put back together in the end!!! You worked with the insurance company to make sure all that was needed to be done was approved and got it done timely. It is better than we expected. We also want to thank you for the assistance with the payment part of the job. You worked with our mortgage company and insurance company and made it so easy to get the payments to the right place. We are very happy and would recommend Cornerstone to anyone facing any disaster. Please, tell us about your project or damage. Any time, day or night, our emergency crews are ready to respond when disaster strikes. 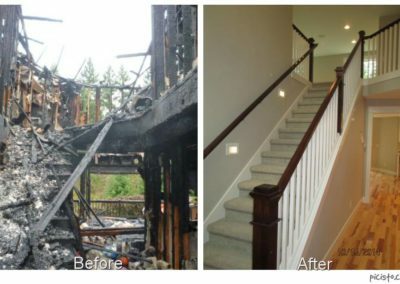 We report on site quickly to immediately limit the amount of damage and begin restoration.